Barcelona, 13 April 2018.- Design has always been part of MANGO’s DNA. This season, the fashion brand is collaborating with Italian designers Zaven Studio, Chiara Andreatti, Lucia Massari and Giorgia Zanellato, showcasing their creations during the celebration of Salone del Mobile in Milan. MANGO has selected these emerging talents for this project, for their innovative designs, and their passion for craft, whether it is in the inspiration of the piece, the materials used, or the production process. 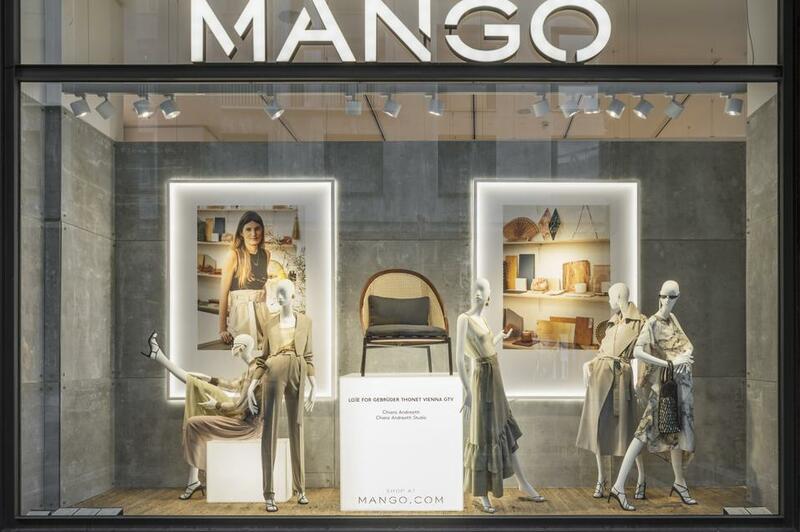 The temporary exposition will be available from 14 April to 1 May, in the window displays of the MANGO flagship store in Milan’s Corso Vitorio Emanuele. Chiara Andreatti, originally from Venice and based in Milan, studied at the European Institute of Design and attended a Master’s course at Domus Academy.